Perhaps the most versatile of any serving utensil, a ladle can be used to dish out soups and broths, as well as drinks and sauces. This Vollrath 4970420 Jacob's Pride 4 oz. 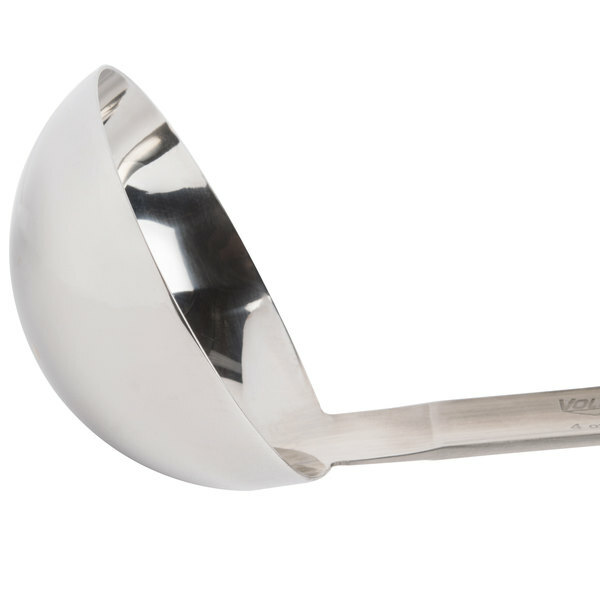 ladle is a must-have addition to any commercial kitchen. 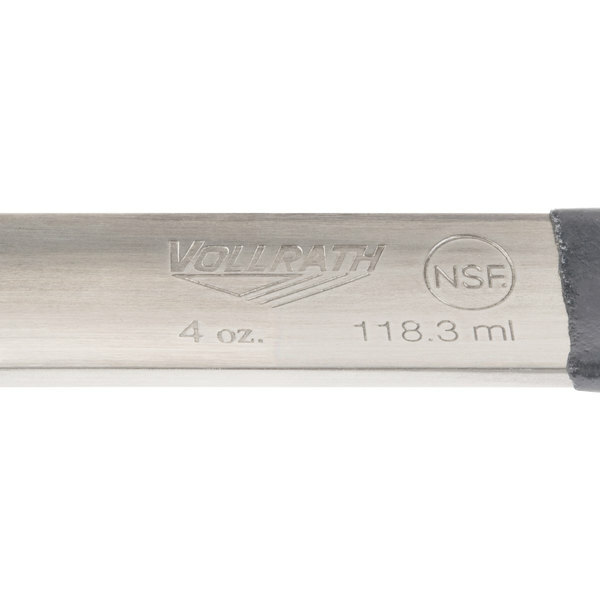 A heavy-duty 18/8 stainless steel shaft and bowl is resistant to both corrosion and rusting, while the one-piece construction allows for sanitary use and is easy-to-clean. 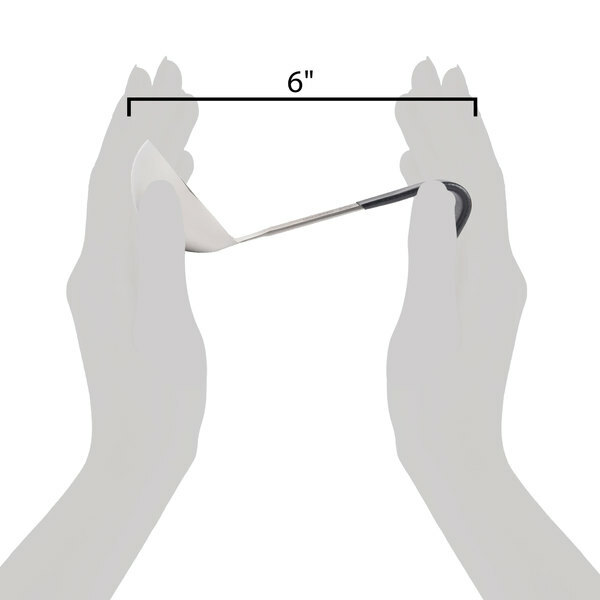 For help with ensuring the consistent application of measured capacities, this ladle features an exact bowl diameter of 3 7/16''. The capacities are clearly stamped on the item in ounces and milliliters for easy size identification. This short 6'' handle comes with a black Kool-Touch coating that aids in safe use, as it is heat-resistant up to 225 degrees Fahrenheit. The stainless steel end of the ladle is heat-resistant up to 350 degrees Fahrenheit. The ladle is also developed with an antimicrobial technology called Agion. For added convenience, a hooked handle prevents sliding and allows for easy storage. 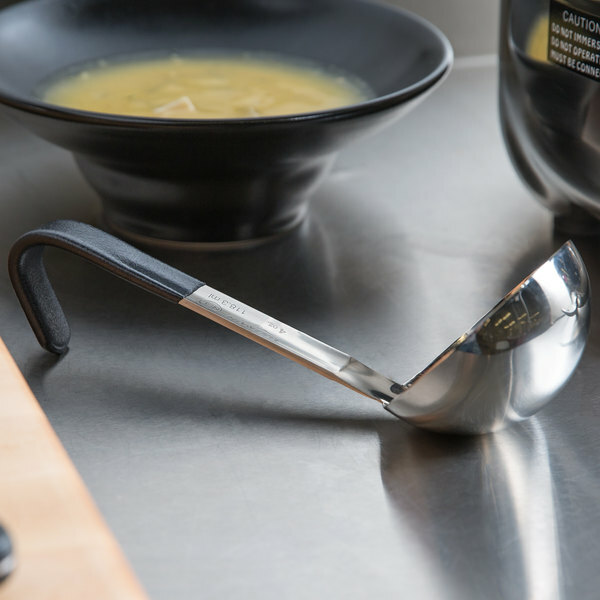 No matter the intended use, this ladle is up to the challenge! 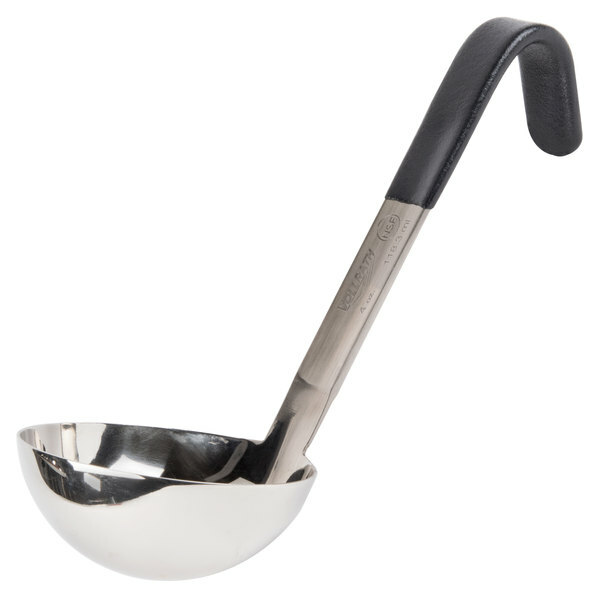 I love this ladle so much I have even gotten one for home use. It is so sturdy and the handle being short makes it easy to hook on to the side of a bowl or cambro so that it doesn't slide into your product when rearranging containers you are portioning. I use it to perfectly portion out pie fillings, cake batters, creme brulee, sauces, soups and more. This is a good portion control scoop. It's ideal at being able to serve soup in specific portions. I would make sure that you get several to save. The Vollrath Jacob's Pride 4 oz. 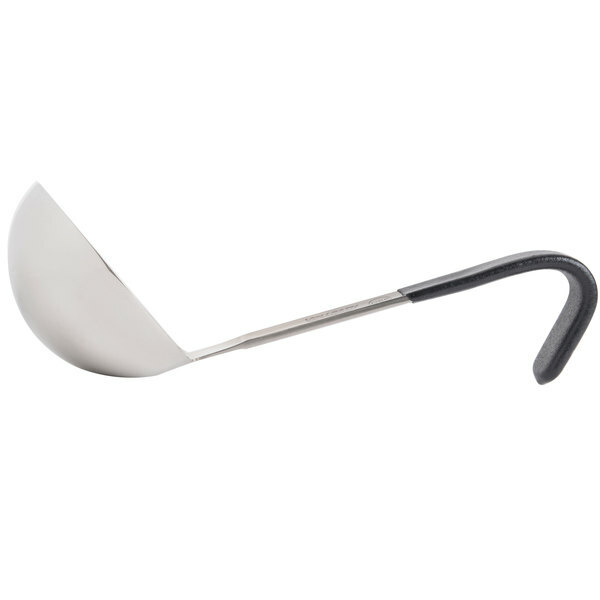 Short Black Handle Ladle is an excellent quality ladle. It is durable and dishwasher safe. This is great for serving proportioned scoops of soup or chili. We use this as an excellent service tool for all of our soups. It's a great and durable way to serve liquid, and it can be washed in the dishwasher very well! 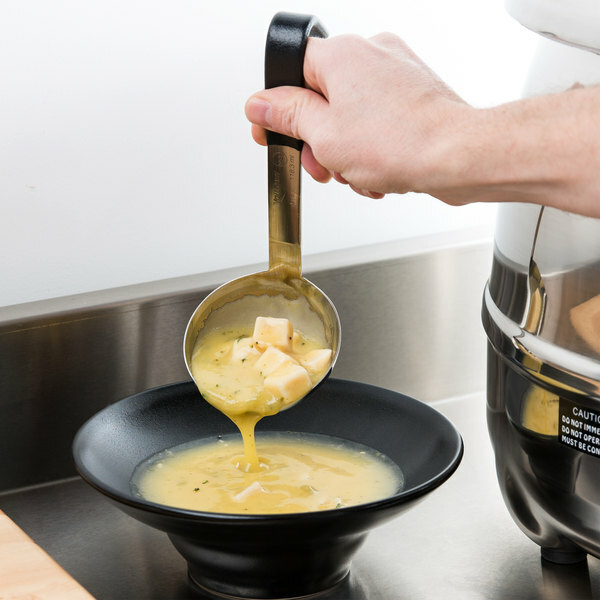 The Vollrath short handle is perfect for us when using our shallow pots and bowls and 4oz grabs just the right amount of soup and gravy. If you need a short stub ladle this is the one you need to buy. Vollrath has the best stuff, everything i have is Vollrath. This is an excellent product and, although they don't carry this version in just metal (no coating), it will do the job just fine. Overall, worth the purchase. These short handle ladles work out great for us! We use them in a tight space that larger ladles are too long for them to work. 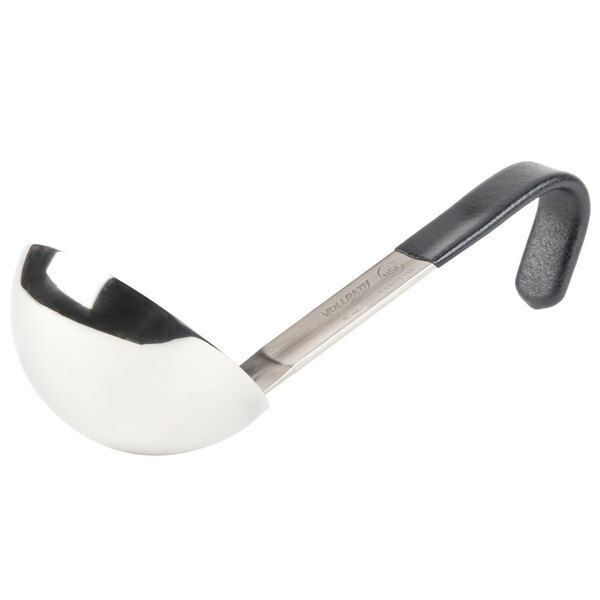 This ladle is great for under the counter use! 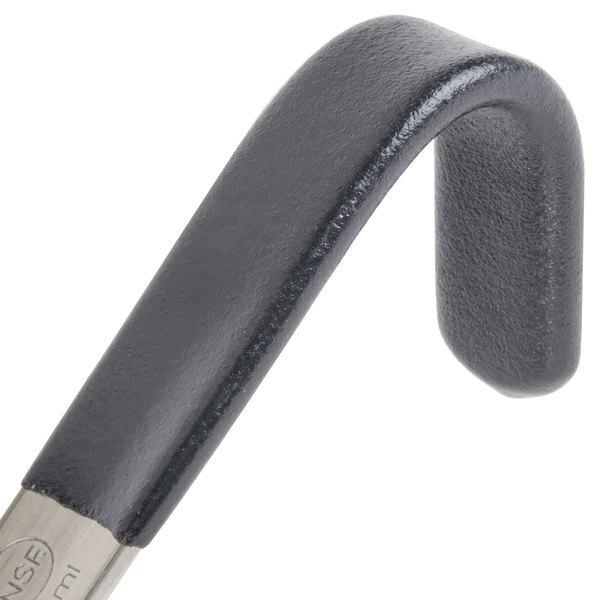 It has a great 4 ounce size but a short handle that is easy to use in tight spaces! !